Arlington, VA; February 2, 2015 – Following the recent Sundance Film Festival premiere of Stanley Nelson’s highly anticipated new documentary “The Black Panthers: Vanguard of the Revolution,” PBS Distribution has announced it will distribute the film in select theaters in the fall of 2015. The film is also slated for a special broadcast as part of PBS’ independent film series INDEPENDENT LENS in winter of 2016. 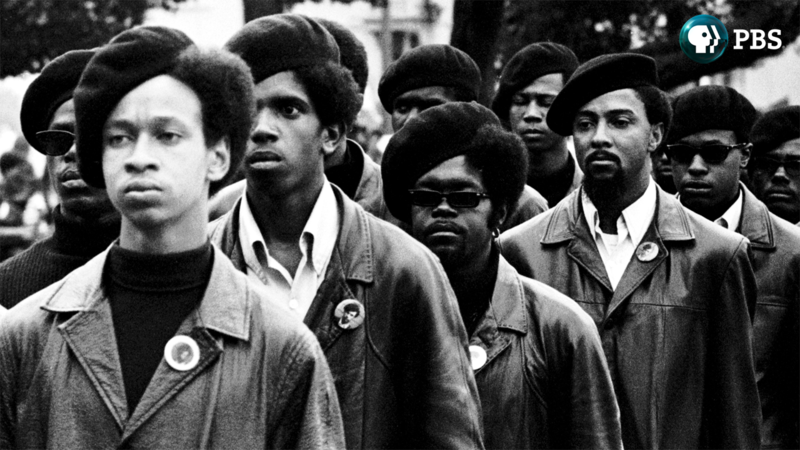 Directed and produced by award-winning filmmaker Stanley Nelson, “The Black Panthers: Vanguard of the Revolution” explores the history of the Black Panthers, founded in 1966 in Oakland, California. The group and its leadership remain powerful and enduring figures in our popular imagination. This film interweaves voices from varied perspectives who lived this story — police, FBI informants, journalists, white supporters, detractors, those who remained loyal to the party and those who left it. Because the participants from all sides were so young in the ’60s and ’70s, they are still around to share firsthand accounts. This announcement follows the successful theatrical release of the AMERICAN EXPERIENCE production “Last Days in Vietnam,” directed and produced by Rory Kennedy. The film was recently nominated for an Academy Award® for Documentary Feature and will air on AMERICAN EXPERIENCE on Tuesday, April 28, from 9:00-11:00 p.m. ET on PBS stations nationwide. Stanley Nelson is a multiple Emmy Award-winning documentary filmmaker, MacArthur “genius” Fellow and member of the Academy of Motion Picture Arts and Sciences. He was awarded the National Humanities Medal by President Obama in August 2014. Nelson is the director of 12 documentary features, including “Freedom Summer,” “Freedom Riders,” “Jonestown: The Life and Death of People’s Temple” and “The Murder of Emmett Till.” He is also co-founder of Firelight Media, which, with the support of the Corporation for Public Broadcasting, provides technical support to diverse emerging documentary producers. Having premiered eight films at the Sundance Film Festival and with multiple industry awards to his credit, Nelson is acknowledged as one of the premiere filmmakers working today. He is currently in production on “Tell Them We Are Rising: The Story of Historically Black Colleges and Universities,” which will air on PBS. He holds a BFA from City College of New York and an honorary doctorate from Haverford College. INDEPENDENT LENS is an Emmy® Award-winning weekly series airing on PBS Monday nights at 10 p.m. ET. The acclaimed series features documentaries united by the creative freedom, artistic achievement and unflinching visions of independent filmmakers. Presented by Independent Television Service, the series is funded by the Corporation for Public Broadcasting, a private corporation funded by the American people, with additional funding from PBS and the John D. and Catherine T. MacArthur Foundation. For more, visit pbs.org/independentlens. PBS Distribution is the leading media distributor for the public television community, both domestically and internationally, extending the reach of programs beyond broadcast while generating revenue for the public television system and production partners. PBS Distribution offers its customers a diverse range of programming, including Ken Burns’s films, documentaries from award-winning series such as NOVA, FRONTLINE, AMERICAN MASTERS, NATURE and AMERICAN EXPERIENCE, and dramas from MASTERPIECE, as well as films from independent producers and popular children’s programs. As a multi-channel distributor, PBS Distribution offers consumers high-quality content in multiple formats including DVD, Blu-ray, digital download and digital streaming. PBS Distribution is also a leading source for factual content for international broadcast, cable and satellite services.